According to Gizmodo, an unnamed official at a Samsung supplier reports that the company has temporarily suspended production of its flagship Galaxy Note 7 smartphone. According to the source, the suspension is being done in coordination with safety officials in South Korea, the United States and China. Just days after releasing the phone this summer, Samsung launched an unprecedented recall of “defective” Note 7s in September after multiple reports of the devices exploding when charged. 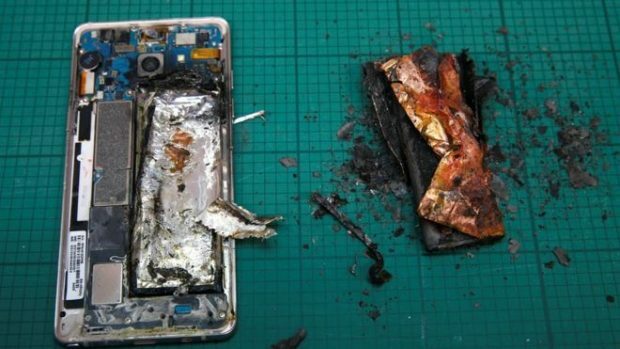 Assuring customers that the explosions were the result of a defective battery only affecting some of the phones, the company offered to replace them with new, allegedly safe Note 7s. Last Sunday, two major providers in the US, AT&T and T-Mobile, announced they were indefinitely suspending all sales and replacements of the Note 7. Customers of both carriers can still exchange their Note 7s for other devices and are urged to do so. Update: Samsung Electronics Co Ltd told customers on Tuesday to stop using their Galaxy Note 7 smartphones while it investigates reports of fires in the devices, as the tech giant scrambled to contain a deepening recall crisis. Samsung’s decision to pull Note 7s off the shelves for the second time in two months underscores the South Korean firm’s struggles to fix the over-heating issue. The world’s top smartphone maker has since recalled around 2.5 million Note 7s due to faulty batteries, and the latest reports of fires in replacement devices is raising fresh doubts about the firm’s quality control procedures. “Consumers with either an original Galaxy Note 7 or replacement Galaxy Note 7 device should power down and stop using the device,” Samsung has advised all global carriers to stop sales of the Note 7s and the exchange of original devices for replacements, while it worked with regulators to investigate the problem. The top device launched in August was supposed to compete with Apple Inc’s latest iPhone for supremacy in the smartphone market. But within weeks of the launch images of burned Note 7s began appearing on social media, in the first sign that something was seriously wrong with the smartphone.